I don't think this has been posted here yet. A few weeks ago, MLIG put out an excellent video with duBois, who drew that great Konami box art for Contra III and Castlevania IV and the like. There's even an interview in which he said he had a deeper design role with the original Rocket Knight Adventures where he did the character design for Sparkster. It would explain why Sparkster has that cartoony American style, and also why the design of the character is more Japanese in later games. DuBois is probably my favorite box art illustrator so I'm happy he's finally getting the recognition he deserves. Shame he doesn't own any of his original video game art to sell to collectors. Hopefully the pieces still exist somewhere. Shame too. His art for those early games was boss. The late 80's, early 90's gaming scene rocked because of his contributions. I found his work to be generally better then the official japanese art from the famicom and super famicom games. 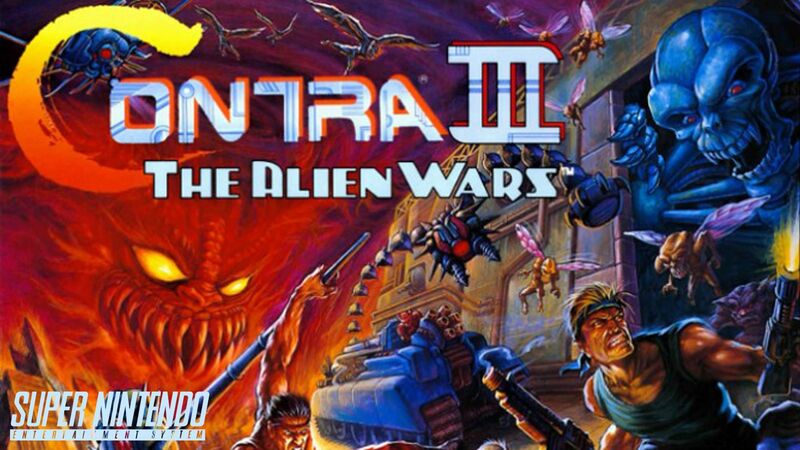 Conra III is the most noticeable when you compare his work over the japanese original. The original japanese art. This one looks too much like Billy & Jimmy Lee (Double Dragon) and nothing like Bill & Lance. The Japanese box art for CVIV also has a bland, stiff quality, while duBois' is full of action and amazing perspective. I like that his work is simultaneously cartoonish yet intricately detailed and "realistic." I'm glad I know the name of the artist now. Hahaha...is the guy in the background a Raw Deal trace? I don't know what the foreground guy's story is. He looks like a teen still in school with collagen-injected lips Looks nothing like Bill Rizer. I saw that video a while ago too. It's really interesting. 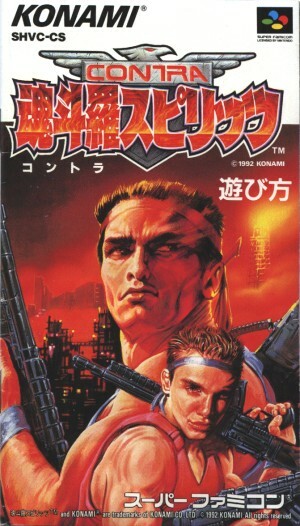 I'm pretty damn weeby, so I can't say duBois's super-Western, hyper-masculine style does a lot for me, but I agree that Konami's Japanese covers sometimes left something to be desired, like the aforementioned CVIV, and duBois's style was a good match for the games that were Western-inspired to begin with. But when he had to do the covers for very Japanese games, oof. That Legend of the Mystical Ninja cover is the stuff of nightmares. Easily one of the worst SNES covers, despite the detail and the fact that it's sound on a technical level. I don't know why he always made the Ninja Turtles look so nasty either. The TMNTIII: Radical Rescue cover is just...ugh. Meanwhile, the Japanese covers are so cute and much better match the sprites used in-game. 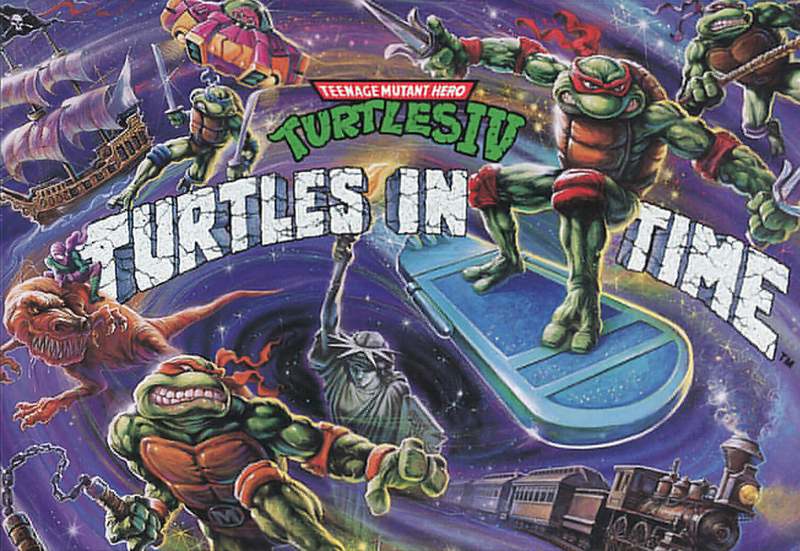 TMNT: IV Turtles in Time seems like a better cover then Radical Rescue. Though I will admit that Michelangelo's facial expression did kinda scare me as a kid. I really like his TMNT art and find it a shame he never drew any of the comics for Mirage or Image. Some of those artists drew the Turtles pretty grotesquely, most famously Simon Bisley. His and Kevin Eastman's Bodycount miniseries is wild, with some really incredible painted covers. Looks like Raph's having a field day in that comic, lol. Also, in some panels, Biz randomly draws him wearing jeans. It's weird. I should point out that I also really love the Japanese Turtles in Time art. Ryan Brown and Steve Lavigne were Mirage Studios artists who were in charge of drawing art for most TMNT merchandise. Their combined style is really distinctive and is seen everywhere. It art looks like a direct take on the 80's animated series I used to watch. We did see that as well in Turtles II: The Arcade. They did the box art for TMNT2 on NES. Just about any merchandise or promotional materials you can think of, Brown/Lavigne drew. I always liked that Mirage had their hand in everything TMNT rather than outsourcing everything. Even the Archie comics were written and drawn by Mirage staff. Brown/Lavigne's style was indeed super awesome. It was the '80s cartoon look but drawn much better. Huh. I would've figured the Japanese covers for games like Turtles in Time and Radical Rescue were done by Japanese artists, since they have a slightly more manga/anime style than a lot of what I've seen of Brown and Lavigne. I wonder if they were intentionally going for a slightly more Japanese look in order to appeal to the Japanese market?